Hipstamatic Oggl is out now for Windows Phone 8, providing somewhat of a stop-gap for handset owners still craving for an official Instagram app. The photo-sharing service has been available for iOS devices for a couple of months now and expands upon the original Hipstamatic app with a refreshed interface, social features and vintage filters. The Windows Phone 8 version, announced in May alongside the Lumia 925 is much the same, enabling users to mix and match various analog-inspired lenses and films. Square crop photos are a requirement here, again taking after its hugely successful rival Instagram. There’s no official Instagram app for Windows Phone 8 at the moment, but Hipstamatic does offer users the ability to post images directly to Facebook’s wildly popular photo-sharing service. That’s a huge step forward for Microsoft’s mobile platform and should enable users to side-step third-party clients such as Instance. 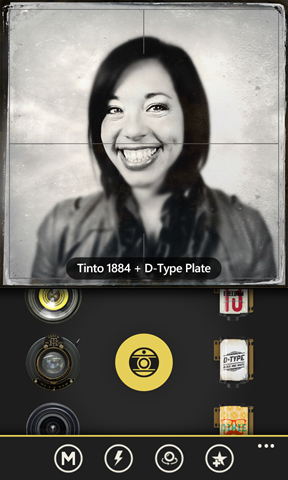 Hipstamatic is also offering a PRO version of its new Oggl app for Nokia Lumia 1020 owners. It’s almost identical to the entry-level version, but packs in some impressive new manual controls including exposure, white, balance, IOS and shutter speed adjustments. Users also have the ability to reframe shots thanks to the handset’s monstrous 41-megapixel sensor, as well fix framing problems with an auto-leveling feature. Video aside, these features actually push Hipstamatic Oggl far beyond Instagram’s native apps for iOS and Android. By blending both a professional camera interface and stylish photo-editing options, this could truly be the silver bullet for Windows Phone 8 users. Even for those who are disinterested in the Lumia 1020, it’s still a solid replacement for Instagram – albeit without the huge community. Both the standard and pro versions of Hipstamatic Oggl are free. They come with 5 preset lenses and films, with additional filter packs requiring a premium subscription. Anyone that creates an account before August 9, however, will have access to the entire library over the next 60 days. Once that’s over, it costs $2.99 for three months or $9.99 for the year. Is it Instagram? No. 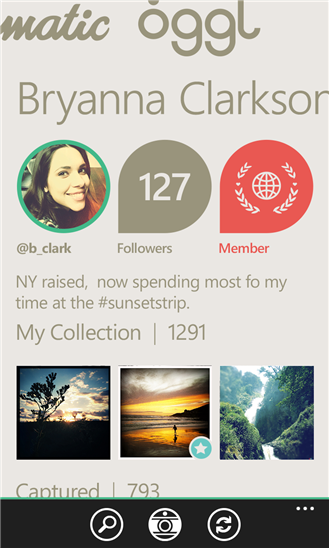 Hipstamatic Oggl is a robust alternative though which Windows Phone 8 users should check out without question. Pick it up in the Windows Phone store now.